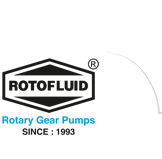 Fluid Tech Systems offers “ROTOFLUID” brand gear pump Model “FTMB” (Mono block Gear Pump, Fluid Transfer Gear Pump) which is pre-lubrication motorized type positive displacement rotary gear pump that is why it is called Monoblock rotary gear pump. The design of the pump consider spacing saving in on elegant outlook. 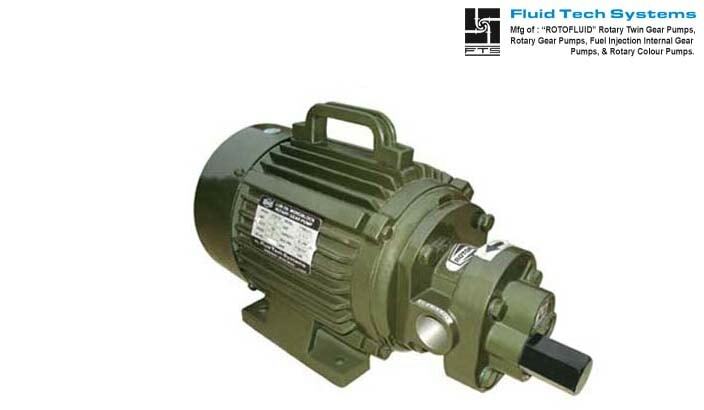 These pumps are with single helical, refined gear pair and hardened and grind finished shaft. The stuffing box is relieved to suction to prevent any pressure built ups to avoid leakages through shafts. The motorized pumps set in monoblock design ensure perfect alignments and saves space & reduces down time. The suction and delivery connection are available in 1/2", 3/4" and 1" size. These pumps can be operated up to pressure of 5kg/cm² with maximum temperature up to 80ºC. Base plate, Coupling, Coupling Guard is not required. Compact size and Space saving model. In built relief valve available.